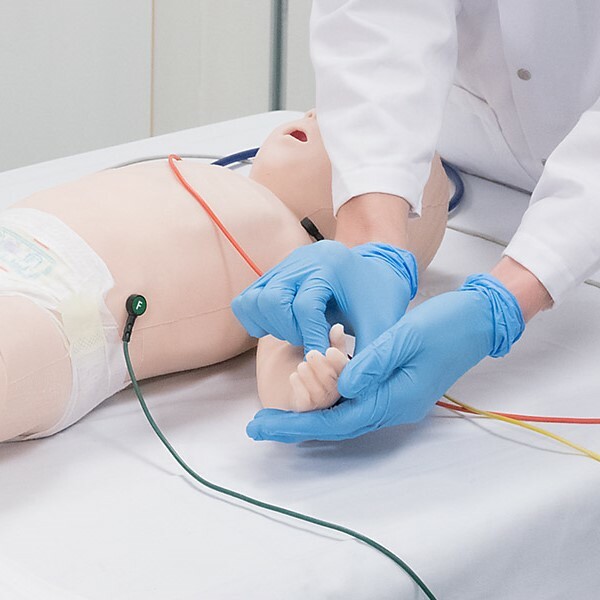 SimBaby is a tetherless simulator designed to help healthcare providers effectively recognize and respond to critically ill pediatric patients. 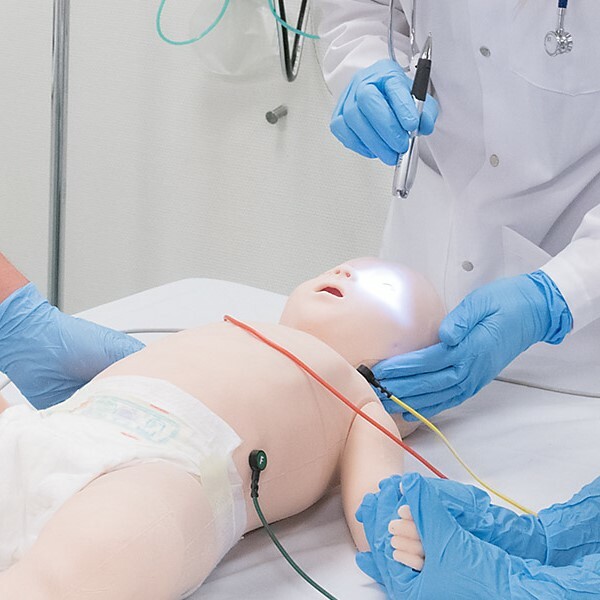 The SimBaby simulator represents a 9-month-old pediatric patient and provides a highly realistic manikin that meets specific learning objectives focusing on initial assessment and treatment. Children can have different physiological responses to trauma compared to adults. Learning how to effectively recognize and respond to respiratory emergencies, shock, and cardiopulmonary arrest can improve the healthcare provider's ability to respond more confidently in an emergency situation. We improved SimBaby so healthcare providers can practice in a safe and realistic team-centered environment preparing them to make critical decisions. Whether it be emergency, intensive care, or point-of-care training such as home care, learning to communicate effectively and respond as a team with established confidence and competence can help improve patient outcomes. 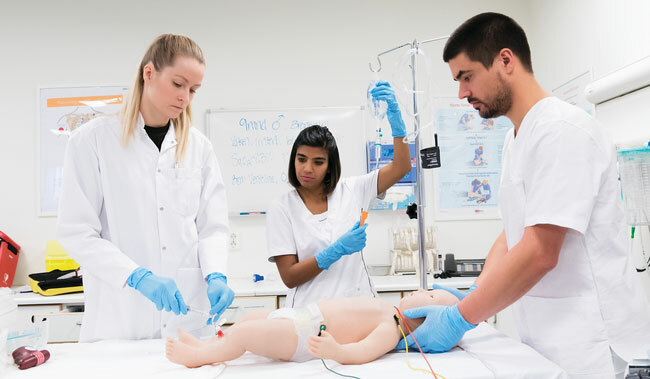 As a tetherless simulator, inter-disciplinary team training and transport can be practiced to ensure cross-functional teams avoid possible breakdowns in communication and continuity of care. For effective monitoring and improvement of CPR performance, QCPR Technology has been incorporated into SimBaby. Realistic anatomy ensures a learner performs correct head tilt, chin lift and experiences appropriate chest resistance and chest rise. 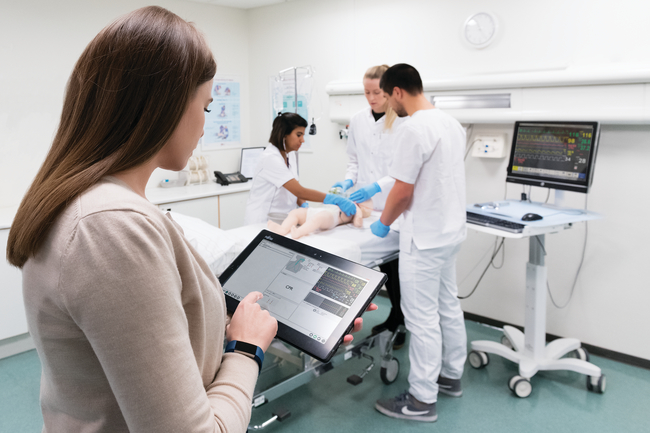 Scenarios based on the American Heart Association's Pediatric Advanced Life Support curriculum help learners prepare for those critical situations mirroring real-life critical events before ever having to respond to an actual emergency. 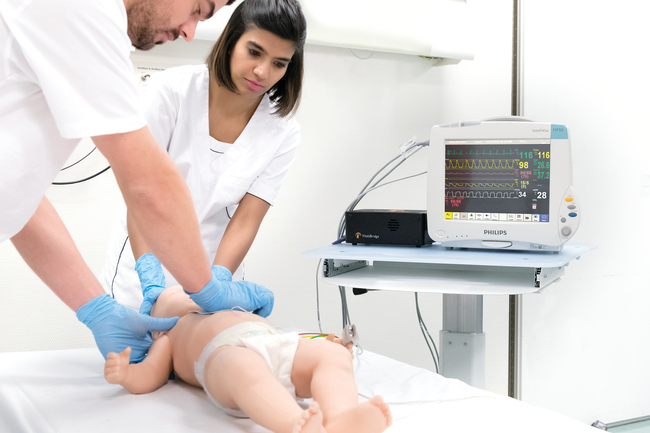 Laerdal also offers help to develop scenarios tailored to your specific needs. 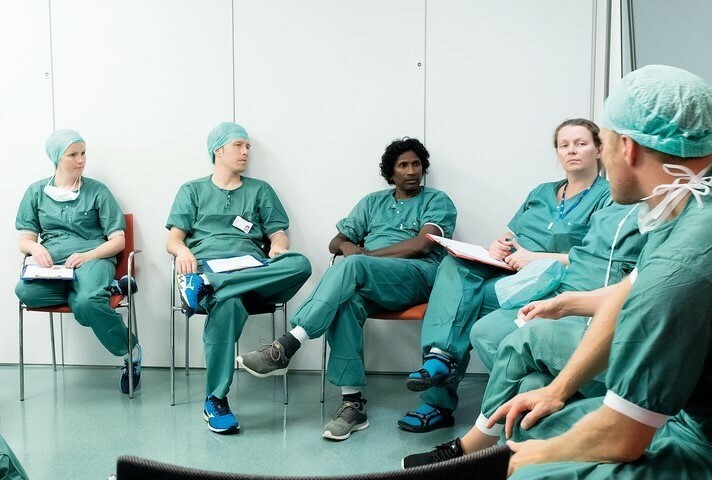 Together with your clinical subject matter experts, our educational experts can develop scenarios that support standardized delivery for improved learning outcomes and clinical impact. We will also support you in implementing these scenarios in your institution. Pairing with ShockLink enables the use of a compatible live defibrillator with training pads. Bridge the gap between SimBaby and your own clinical patient monitor with VitalsBridge. 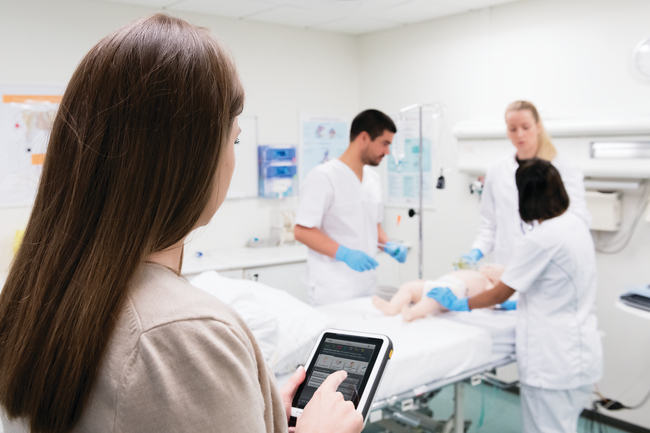 Use SimBaby to practice critical patient assessment and handover situations of a 9-month-old simulated patient in a safe and highly realistic training environment.